“Truth be told, we are a little bit brazen. If you get the impression that someone is getting saucy with you don’t take it personal; that’s just our style and the reputation we have in the rest of Spain.” I took a drag from my cigarette and laughed. The way my host described the people in her home region left little to the imagination. I had met Valencians before and never got that impression so I took the warning with a grain of salt. We both smoked the last cigarette of the evening and, after putting it out, said goodbye—not good night but goodbye, as I would be leaving Madrid for Valencia the next day. The following day, my sister, her boyfriend and myself sped off towards the Mediterranean coast, quickly leaving Madrid behind. Like many other things I saw in Spain, the road—with its dirt mounds, unfinished streets, and patches of spiky, green bushes—reminded me a lot of Mexico. My sister dozed off almost immediately, but her boyfriend looked attentively at the landscape and pointed at every castle he saw in the distance. His enthusiasm for traveling reminded me of my first years in Germany, when I did the same every time I saw a castle (but I sadly don’t do anymore). 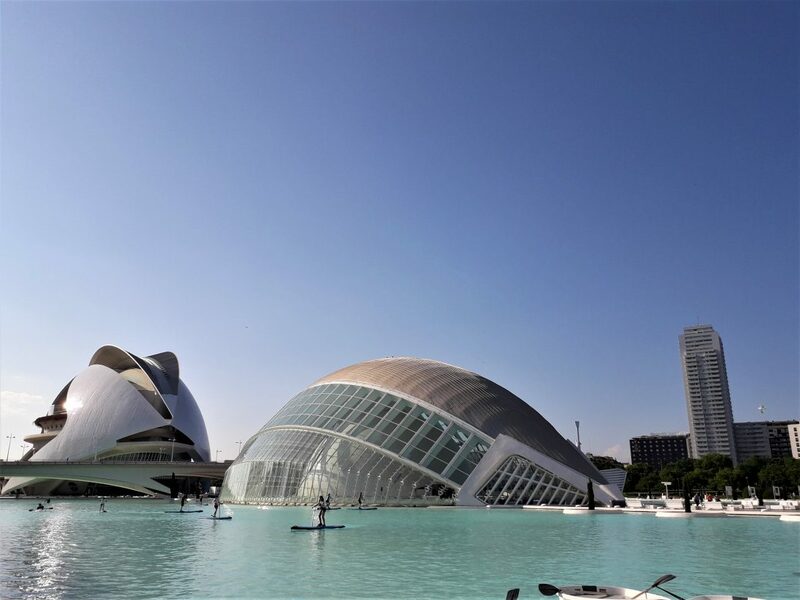 Valencia, officially València, in the community of the same name, is Spain’s third-largest city after Madrid and Barcelona. 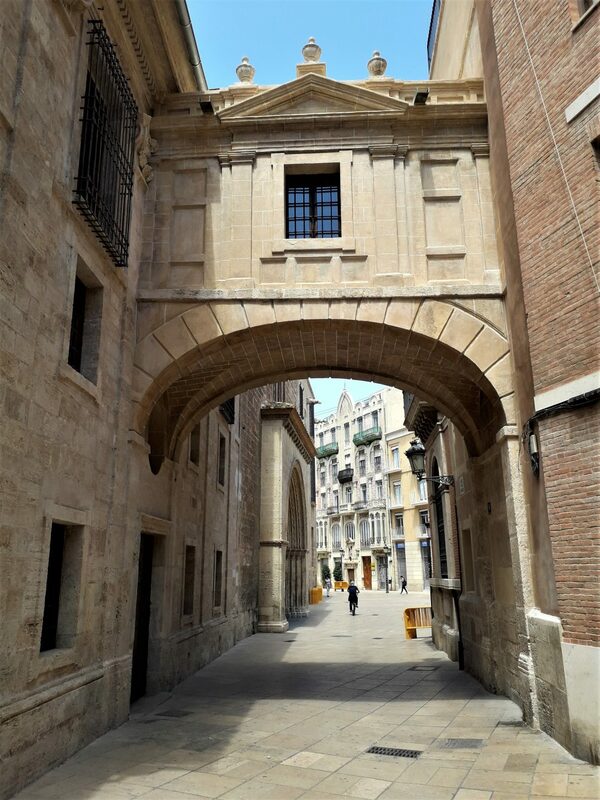 The community of Valencia is the successor to the Kingdom of Valencia, which existed in Medieval Spain. Valencia enjoyed a large degree of autonomy within the kingdoms of Aragón and later Spain, and still does to this day. 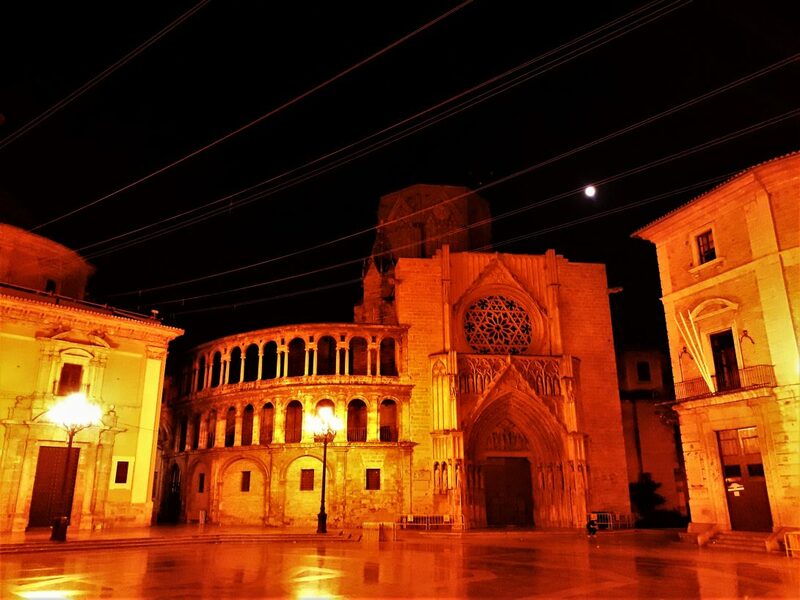 It is a region with its own language, particular cuisine and even a distinct medieval architectural style known as Valencian Gothic, which can still be seen in the city’s beautifully preserved old town. 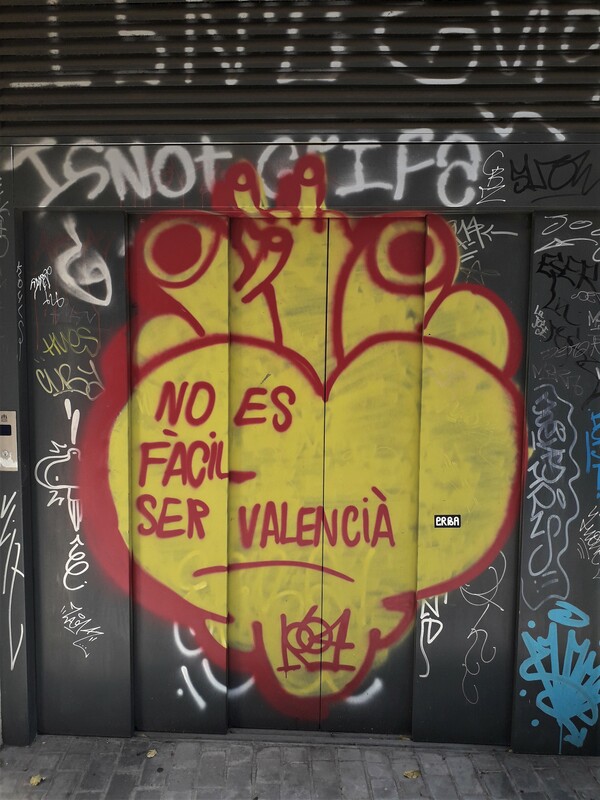 Valencia shares many things with Catalonia. Funnily enough, most Catalans I’ve met have pointed out all the similarities, including the language, which they consider a variety of Catalan. Valencians, on the other hand, will go the extra mile to point out the differences, and will make a point about Valencian being a distinct language from Catalan. 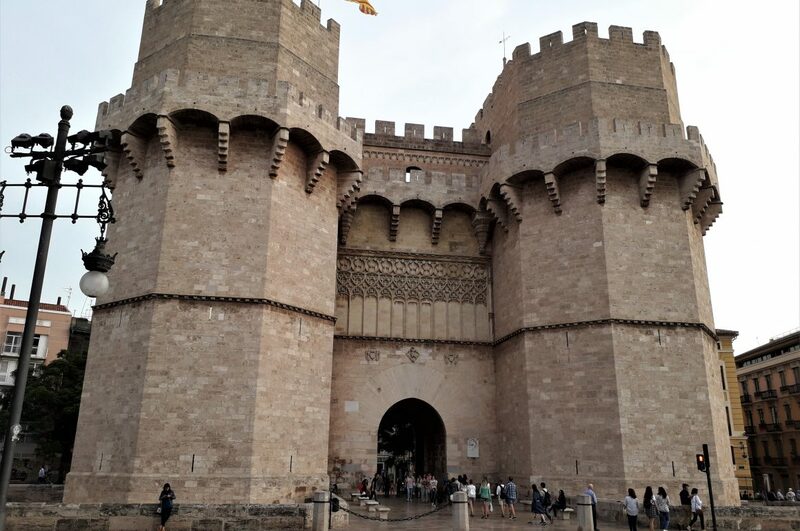 In the end, Valencian is considered a language in its own right and is the official language of the government of the Valencian community, but it is damn similar to Catalan. However it may be, the Valencian and Catalan communities are often at odds with each other in terms of politics. Plus, while the movement for independence in Catalonia is very strong, in Valencia many people have a clearly Españolista position—that is, they are very proud of their history and language but secession from Spain is not on their agenda. Many Catalan and Valencian nationalists do consider their countries part of a larger proposed country called Països Catalans, which would ideally unite all Catalan-speaking areas in France, Andorra, and Spain, but that’s another story. Upon arriving in Valencia we waited for Ramón’s sister and her boyfriend to come pick us up. We waited in front of the city’s massive bullfighting ring, which nowadays doesn’t hold corridas that often due to the growing controversy surrounding this activity—call it a sport, an art form or a cruel spectacle (I myself would go with the third definition). After dropping off our stuff we opened a bottle of wine and readied some tapas: different types of ham and sausage, cheese, olives, bread and aioli to go with it. 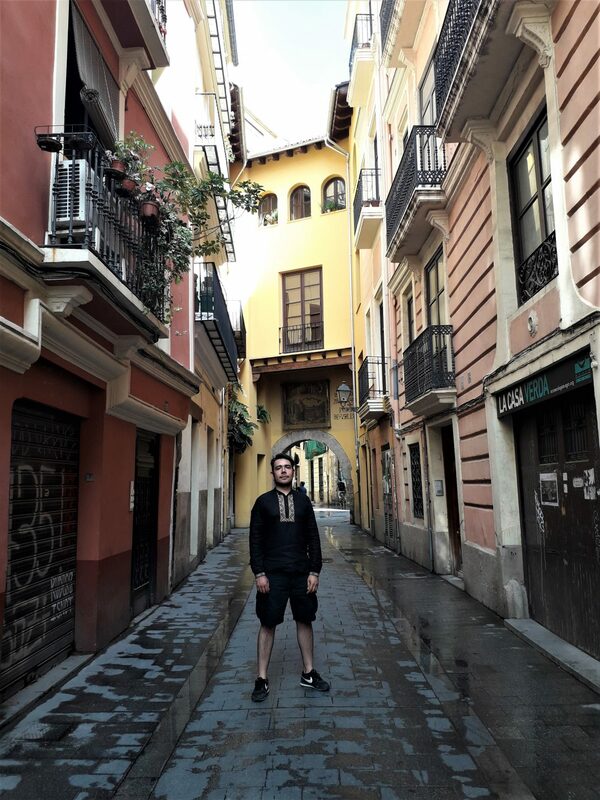 However, I had set my heart on eating original Valencian paella on my first night in Valencia and was not about to scratch that plan, so after a few glasses of wine we walked through the narrow streets of the old town until we found a restaurant and sat down to eat. The waiter came out to take our orders, and came back with a round of beers. We tried to guess his accent and settled for Dominican. While we waited we heard a commotion inside. I looked through the window and saw the waiter and the bartender shoving each other while a girl tried to get them to calm down. I turned back to my dining companions and saw the cook walk out and leave, so we figured we weren’t going to get our paella that night. I thought of the words of my host in Madrid. After a few seconds, I looked back through the window and saw the server take a swing at the bartender. A full-blown fistfight between the two erupted. Screams, curses, shattering glass. We got up and walked to the next restaurant. We ordered two rice dishes, which are served in huge pans and always for a minimum of two people. Paella, the rice dish I knew from my childhood (as it is quite popular in Mexico) is so rich it’s even a bit confusing. Flavors that would otherwise not mix clash but somehow harmonize nicely with each other. 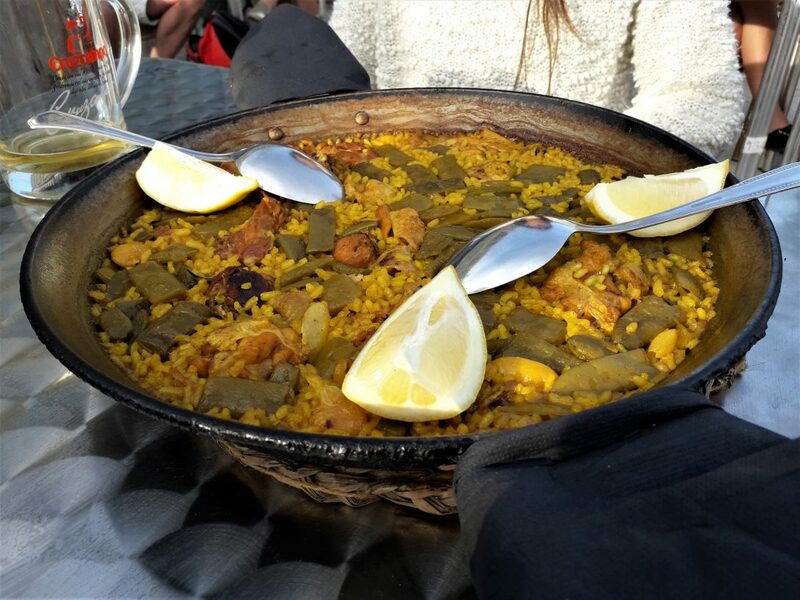 The first one we ordered was a traditional Valencian paella, which is made with rabbit and chicken, but also had clams, shrimp and snails (which I didn’t eat). 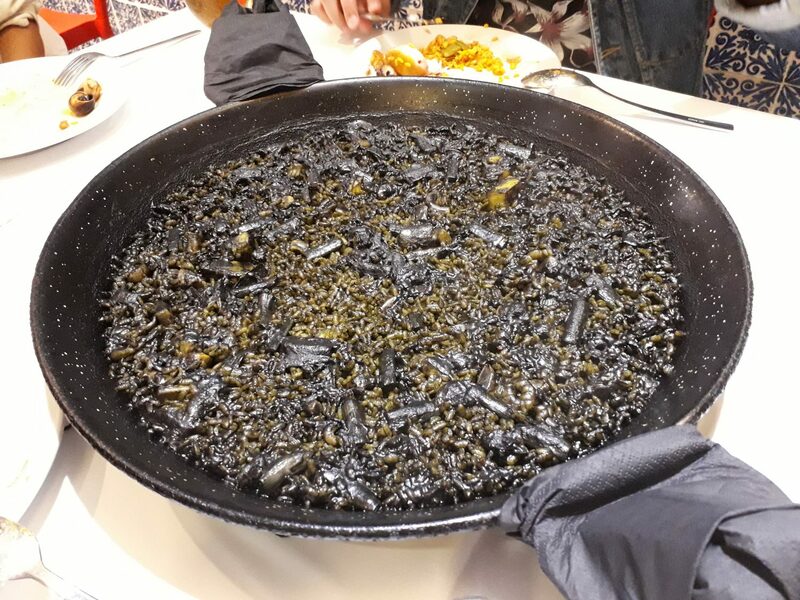 The second one we ordered was arròs negre, which is often called Black Paella, but is not actually paella (though it is cooked the same way). Arròs negre means black rice, and it is basically rice cooked in squid ink with bits of shrimp and squid. The arròs negre was amazing, but the Valencian paella was just so good I wanted to eat more. Every mouthful came with an explosion of flavors, while the arròs negre had a more liquid consistency due to the ink and was a bit plain since it only had shrimp and bits of squid. Being that I had a limited amount of time in the city, I didn’t really spend much time outside the walls of the old town. However, the city center has a lot to offer to fill a short schedule. 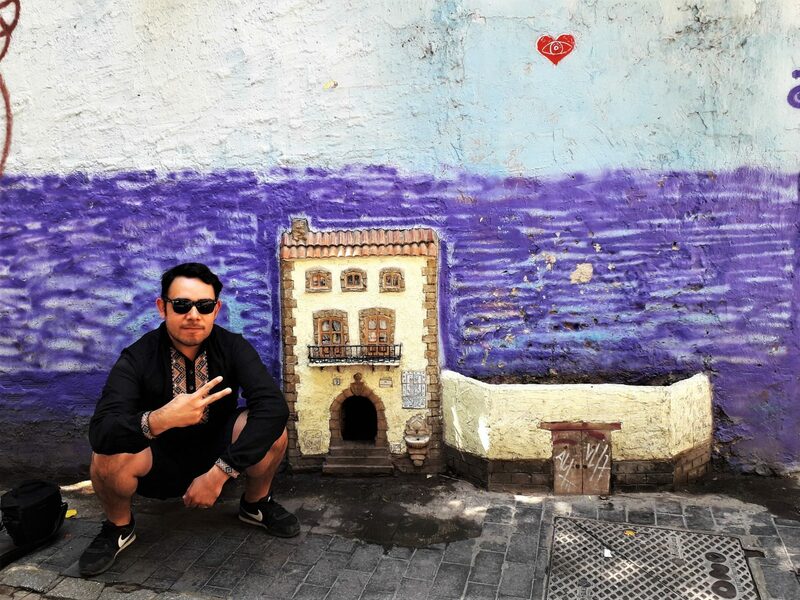 From the impressive, detailed and beautifully preserved buildings erected by the Borgia dynasty to the more alternative and bohemian shops and corners covered in street art, I can positively say I was visually stimulated the whole time I was in Valencia. 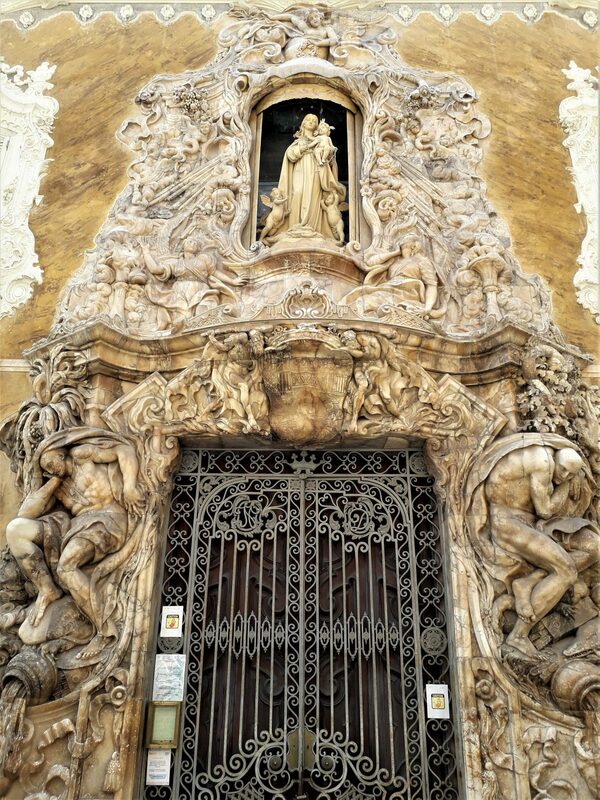 In terms of architecture, no building impressed me more than the National Museum of Ceramics in the Palace of the Marqués de Dos Aguas, with its elaborate and almost absurd alabaster entrance. I also (reluctantly) visited the futuristic City of Arts and Sciences, designed by renowned architecture Santiago Calatrava, but wasn’t that into it. The streets of the old town were full of life. Everywhere. People dined outside, and not only on the main streets and squares but literally all over. The Mediterranean attitude of spending warm evenings outside was very present in Valencia. Couples strolled up and down the street and children played, even after dark, while their parents probably had a glass of wine somewhere nearby (I would hope). 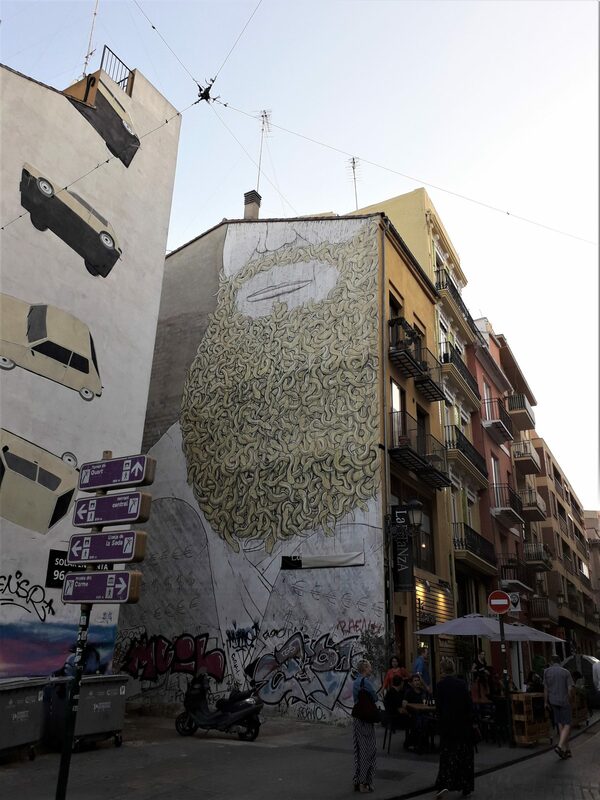 Valencia is a very lively city, and the hedonistic and relaxed attitude of the locals made me wish more than once that I lived there and not here in Hamburg. 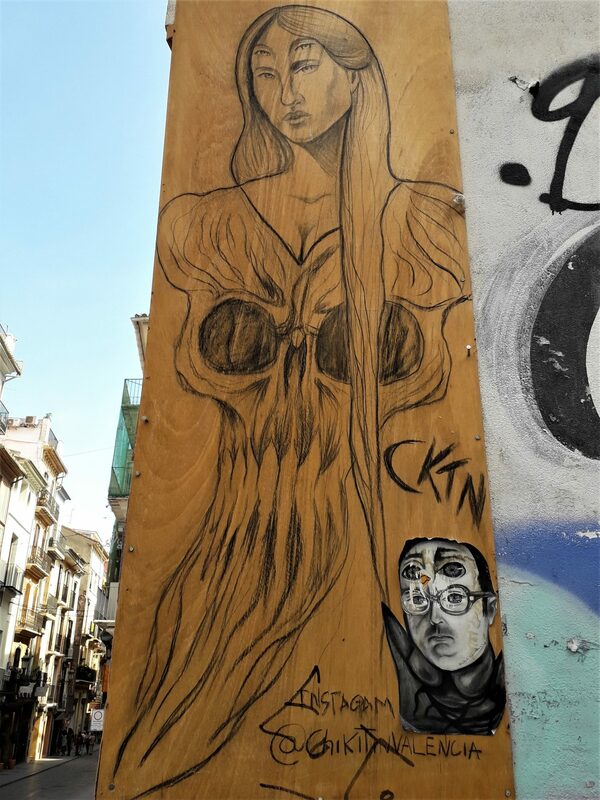 My particular highlight as far as street art is concerned were the few disturbing pieces of a street artist by the name of Chikitín, which featured demonic beings drawn on wood plates and nailed to walls, but there was also a pretty amazing piece by Blu that I really liked. After that I went out to discover the city. One of the most unique places I came across is called Discos Monterey, a bar/record store that doubles as a Mexican restaurant on Thursdays. The decoration of the place is incredibly retro, and so was the music that was playing. The owner of the store took our order; a guy with long hair, a perfectly-trimmed handlebar mustache, and clothes straight from the seventies. I reckoned the guy was a bit eccentric, like his store, but confirmed it when I saw a huge painting of him standing next to a tree that hung in the main room of the place. That’s when I thought “ok, that guy rules.” And his store and the tacos ruled too. That particular store and the municipal market were the two most interesting places I visited in Valencia. 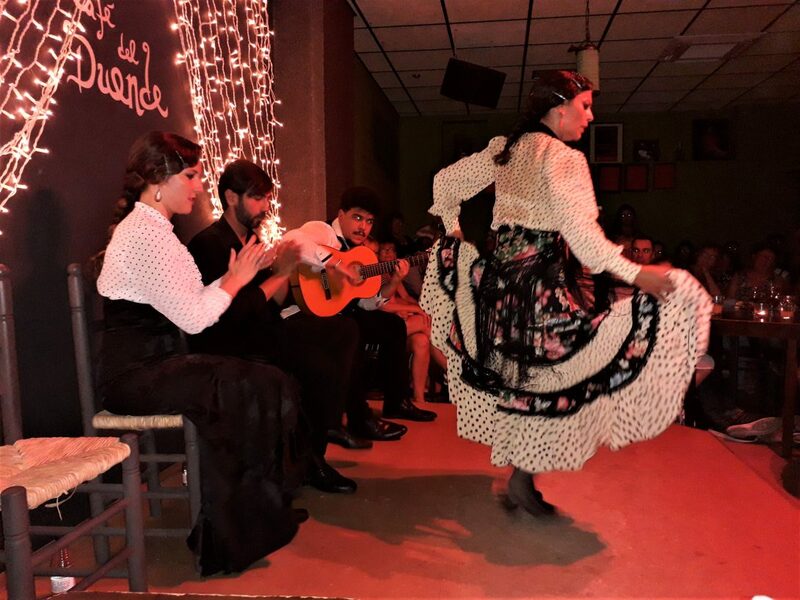 The true highlight of my trip was the evening at a small bar called Café del Duende, which is a very famous location for Flamenco. We arrived an hour before the show, which apparently almost always sells out. The Café del Duende is still a rather well-kept secret; there were some foreigners waiting in line, but the crowd there was mostly local. We entered and managed to secure a table right by the stage. The dimly-lit establishment started to fill up, and a woman from Belarus’ joined our table. Exactly at 10pm, the crowd went silent, and a cantaor and a guitar player sat in the middle of the stage. The singer broke into a mournful lament accompanied by a combination of minor chords and the syncopated beat created by his hands and feet. Two statuesque women in traditional dresses walked out solemnly onto the stage, faced each other and walked in circles. Their unflinching eyes made intense contact with each other in a tense and challenging way. The music changed from quiet to furious, but maintained that melancholic feel characteristic to Flamenco throughout. The lament-like style of singing mixed wonderfully with the relentless strumming of the guitar, while the dancers created the percussion with their feet. Toward the end, two guys joined the crew on stage. One of them broke into song, and his powerful voice reverberated in the whole building. Seconds later, the other guy started dancing. His dance was not in any way different from that of the women, which was very interesting. During this whole time I was just ecstatic. I enjoyed every single second of the show—so much that I couldn’t get myself to take pictures. The music was raw and intense. As you know, I am a huge fan of Death Metal and Grindcore, but Flamenco in this form is no less furious than the hardest Metal. Duende means goblin, but in Flamenco culture it is the name for the particular magic created by music—hence the name of the bar. The RAE defines it as a “mysterious and ineffable charm,” and the Duende game of that performance was truly off the charts. Olé! As we walked back home I struck conversation with an American girl who had lived in Valencia a decade before, and we decided to go for a drink. After a few gin tonics we wandered back to the square in front of the cathedral, which at that time of the night was virtually empty. The whole evening was memorable and made me wish I weren’t leaving the next day. 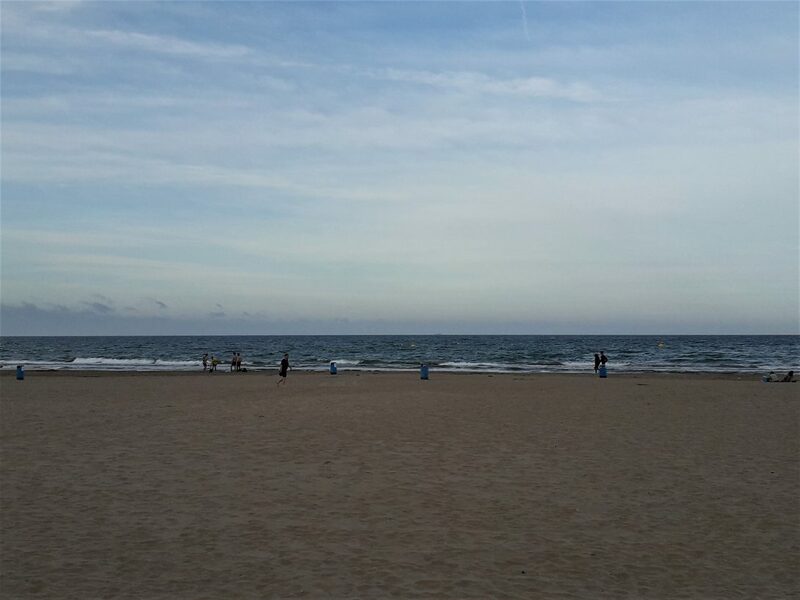 There was just one thing left that I had to do in Valencia before leaving: I had seen the Mediterranean before but wanted to see it again. Plus, I had heard that paella should only be eaten at the beach for lunch; I had eaten it in town for dinner, so needed to set that straight. We took the tram to the Malvarrosa beach. The first thing I did was take my shoes off and walk a few steps into the sea. After a short walk along the beach, we sat down for a Valencian paella and some tapas. The paella was much better than at the second place and I was definitely satisfied afterward. 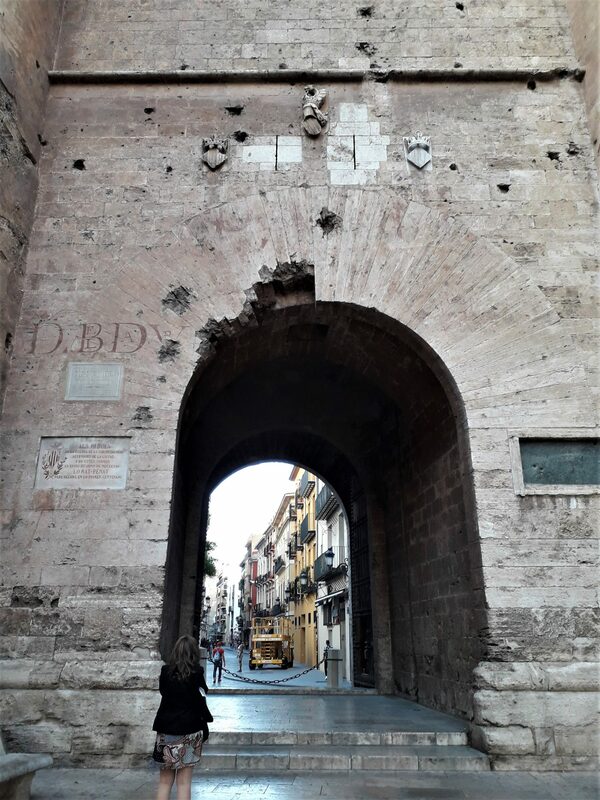 The trip to the beach was luckily a short one: It was Corpus Christi in Valencia and people were out in force celebrating, and we just so happened to enter the city center through the Puerta de Serranos just as the parade was coming out to head to the main square. I quickly ditched my crew and looked for a good spot to witness the show. 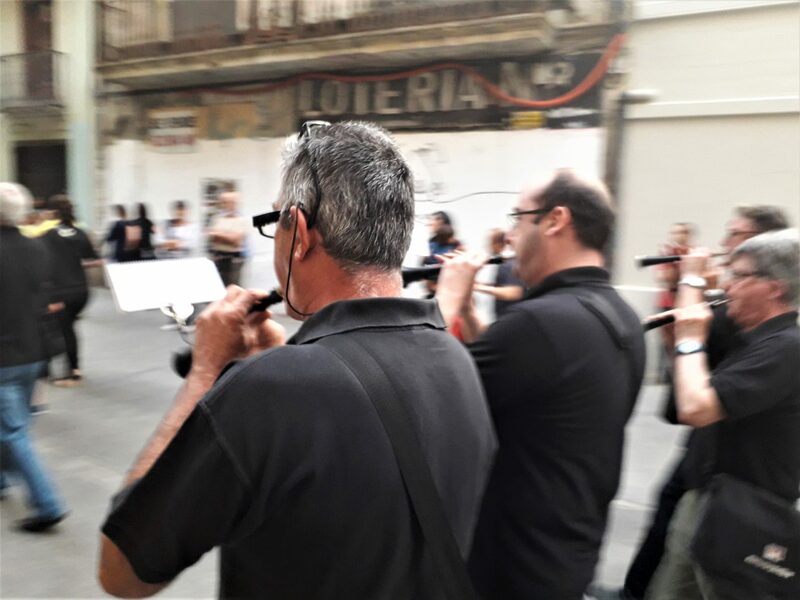 Huge carts carrying even bigger effigies of saints rolled slowly by, followed by marching bands of people playing loud snare drums and strident dolçainas, a traditional Valencian wind instrument. The rapid and acute beats of the music created a contrasting soundtrack to the carts lurching along the streets towards the city’s majestic cathedral. That night, we went on a stroll to the neighborhood of Ruzafa. 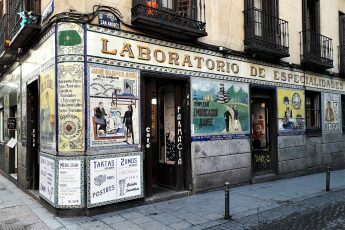 The area, away from the city center, is one of the hippest neighborhoods in Valencia, and has a very different character than the old town. This part of town is modern, with buildings dating to the late 19th and early 20th centuries. The streets all over Ruzafa were packed with locals having dinner; here there were fewer tourists, as most prefer to go out in the city center. After a few drinks with my whole crew and an old friend of mine from university who just so happened to be in town, we walked back home. The main square, which I had found empty the previous night, was now packed with people. 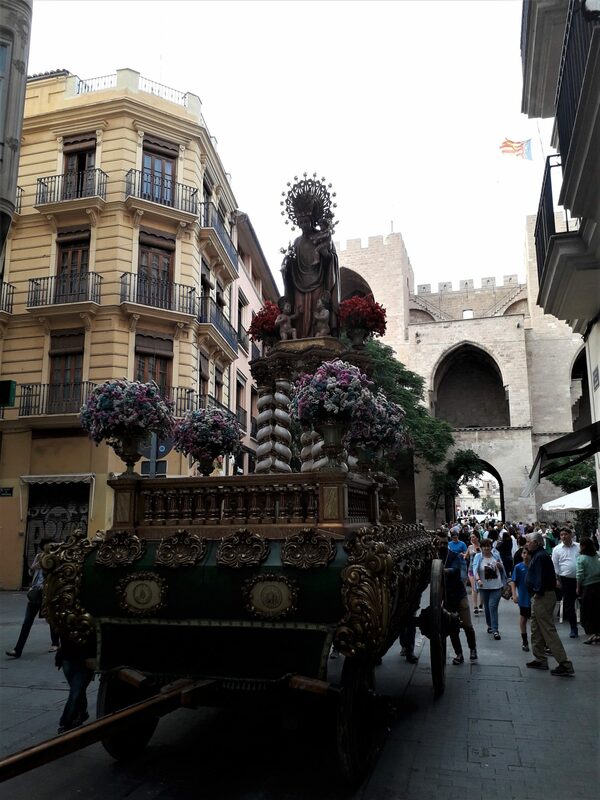 All the statues from the Corpus Christi parade were now displayed in front of the cathedral, and bands played and danced traditional Valencian tunes. 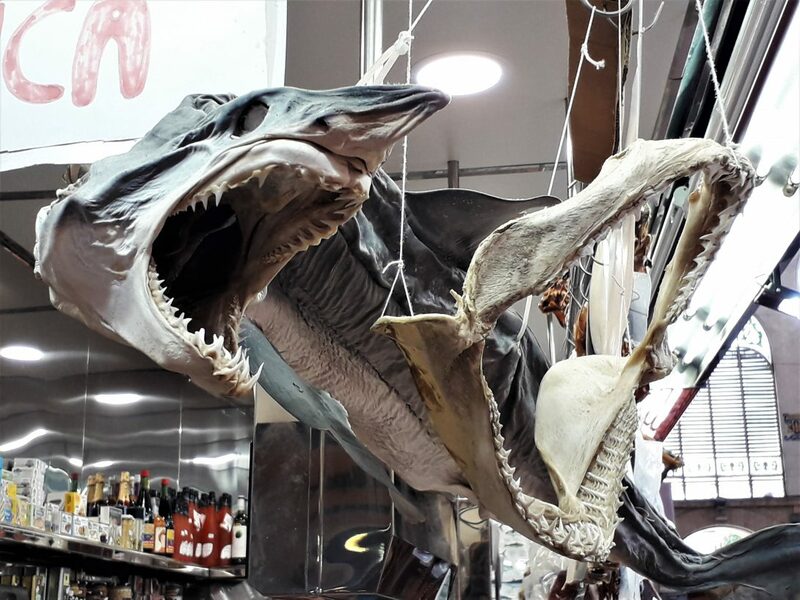 I was happy to see that traditions are still alive and well in Valencia. We heard the last song and called it a night. After a few days in Valencia I had forgotten about Madrid. My days were idle and consisted in waking up late, having a traditional Mediterranean breakfast of bread with pureed tomatoes and olive oil, and a coffee and a glass of fresh orange juice to wash it down—and I couldn’t have asked for anything else. The city really impressed me, not just because of how pretty it is but for its Mediterranean lifestyle and strong cultural identity. People in Valencia seemed to really embrace their traditions and be very aware of their origins, but not in a close-minded way. I noticed a strong “us” sentiment there, which reminded a lot of how it is back in Mexico, and figured I would really feel at home living there. I laid down at around 1am and took a three-hour nap. My alarm went off at 4am; I said goodbye and walked out into the moribund night, which was slowly beginning to give way to a brand new day. I then strolled along the dry river to the metro station to go to the airport and catch my early flight back to Hamburg. The architecture is phenomenal! Looks like a very artsy town.